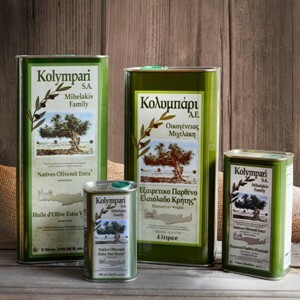 The Kolymvari Extra Virgin Olive Oil PDO is a product with Protected Destination of Origin from the area of Kolymvari, comes from the Michelakis Family Groves, where the olive trees with their lustrous green and silver leaves stand peacefully overlooking the Mediterranean Sea, in Crete. At the Michelakis Family Groves, using traditional harvesting methods for optimum quality and flavour, and being environmentally conscientious, the selected Koroneiki variety olives are handpicked under pristine conditions. The olive fruit is then brought to the Michelakis family mill, where the olive fruit is mechanically cold pressed, producing this superior category Olive Oil. 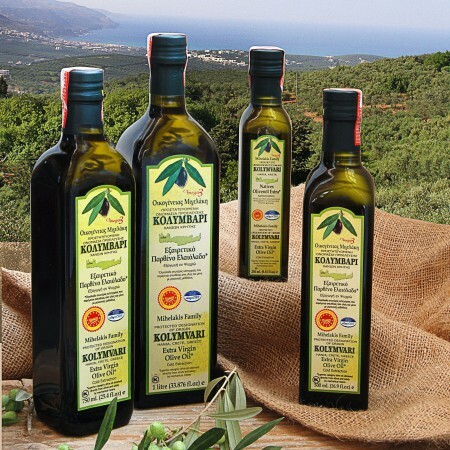 The Kolymvari Extra Virgin Olive Oil PDO is mild and fruity, ideal for salads, pasta and grilled vegetables. We product also ORGANIC OIL.